Actress Kate Beckinsale deletes all her Instagram posts amidst her romance with Pete Davidson. 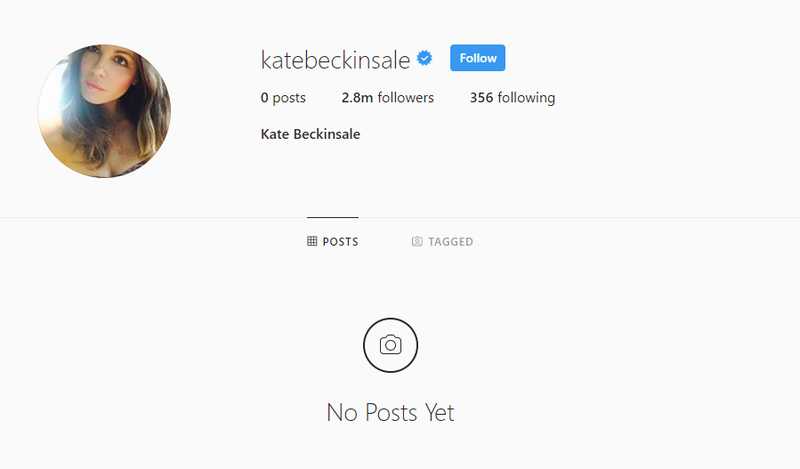 Rest In Peace to all the beautiful numbers of images that went deleted on actress Kate Beckinsale's Instagram. Of what once used to be on the actress Instagram feed including all the lovely and weird posts of her cats, selfies, and workout routine videos are all gone. Don't worry though, thankfully, the 45 years old's account is somehow still active and not deactivated, especially with her nearly three million followers being unaffected by her unexpected and shocking move on the platform. Kate Beckinsale deletes off all her Instagram posts. Well, what could be the reason behind this all? Could there be some big project or news to share for her fans that she decided to scrub off her all IG posts? Because apparently, some of her fans, in fact, assume there might be. As a matter of fact, they believe Kate is following the similar path of fellow singer Taylor Swift who once deleted all of her previous Instagram posts following the release of her album; 'Reputation' in 2017, in order to make the 'old Taylor' dead. At the time, Swift applied the technique to make a comeback on her career accordingly to her then-latest album. The 'Underworld' actress has not answered why she came up with such move yet, especially amidst her new romance life with 'Saturday Night Live' star Pete Davidson. On the other hand, could the actress be following the same footstep of Davidson actually? Although her account is still up there, one can't simply ignore the fact when Kate's twenty years younger partner who deleted his Instagram at the end of last year amidst her messy relationship with then-fiancee Ariana Grande and his then-ongoing battle with his mental health. Both Pete and Kate have been open about their relationship since they made their first public appearance earlier this year in February. As a matter of fact, they first hit it off together in January at the Golden Globes afterparty. The couple since has also been spotted together several times in the public. Only earlier this month, the lovebirds were pictured locking their lips at their New York Rangers game date in New York City’s Madison Square Garden. 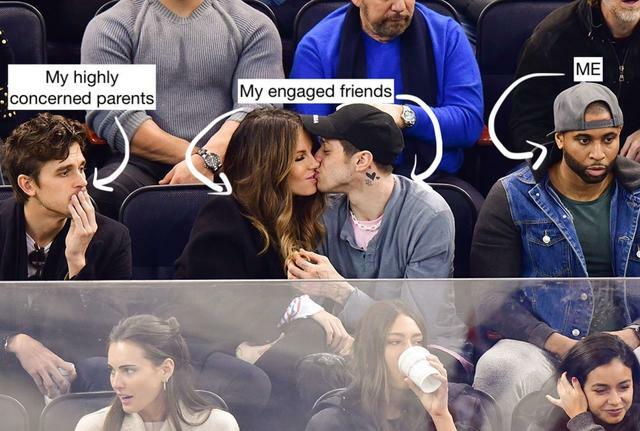 Not to add, the picture of the two kissing led to a huge meme outbreak on the internet. As per a close source to the actress who told People, it's come to our knowledge that Beckinsale is super happy to be dating Pete and that "They have really similar senses of humor and she’s always laughing with him."